Los Angeles-based Steven Baldi attempts to examine the multifaceted nature of visual language through material forms such as painting, 16mm film, and photography. 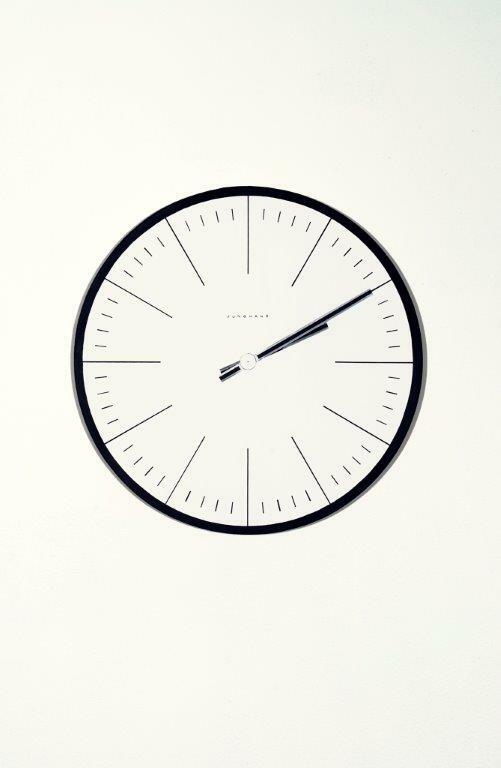 Here, the work’s title references the time on the clock, the designer, and the MoMA inventory number – letting us know that it is a well-known design object collected by museums. As a painting, the work loses its function, but still maintains the aesthetic appeal that made it important in the mid-century. Baldi’s work has been exhibited in solo and group exhibitions at galleries around the world.